Last Friday morning, Early Years families joined us for some shared classroom time, community singing and a presentation about our program. 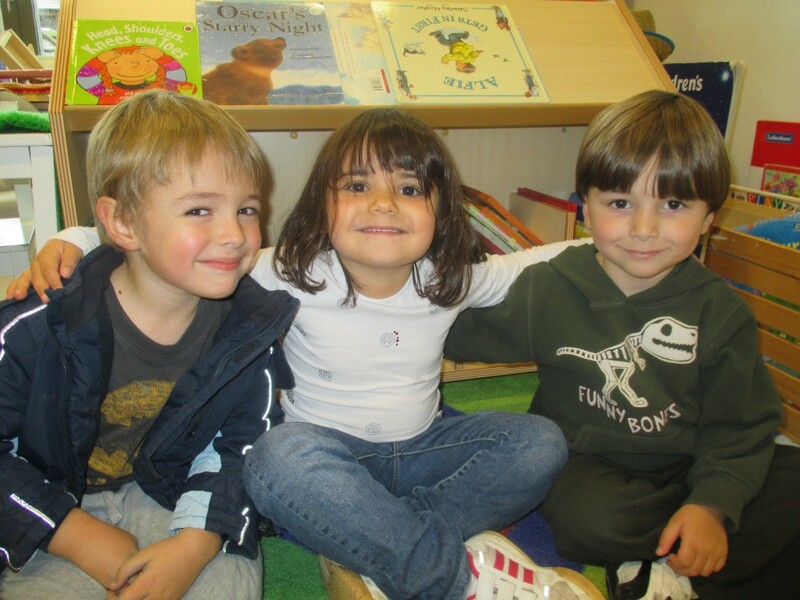 As members of an international school community, we have the unique experience of learning together with children and teachers from all over the globe. As an educator, I have found this to be one of the most rewarding aspects of this work, mostly because of the countless opportunities to share in other cultural traditions and make meaningful connections with families from diverse backgrounds. Getting to know families by sharing experiences together builds relationships and home- school connections. For children who attend our school, cultural and linguistic diversity becomes a normal part of school and community life. At ICS, we actively cultivate a respect for each child’s home language and culture by seeking to learn about families, inviting them to participate in school life and encouraging children to share their home languages and cultures with us. Bom Dia! These friends come from different places but share a common language, Portuguese. In my role integrating music into the Early Year program, there are many opportunities to share and collaboratively create different global sounds and rhythms. At our Early Years Open Morning, the children sang “Good Morning” greetings to their families in seventeen languages. Amazingly, each of these languages is represented by one or more children in the Early Years program. The children’s pride in sharing their own language as well as demonstrating knowledge of friends’ greetings was evident in the joyful singing. Smiles from the audience of families were abundant, and at the end, one parent excitedly shared that she was a native Irish speaker. Of course, we were thrilled to add a new greeting to our repertoire. Greeting families in nineteen different languages. Early Years Atelierista. I have worked in the field of early childhood education for more than 20 years as a teacher, writer, workshop leader and learner. My passions include transdisciplinary learning, outdoor schools and international education.